Call-Bulletin Staff Writer It was foggy on Tuesday morning, August 16, 1927. The mist shrouded Oakland Airport, drifting close above eight little airplanes lined up in a semicircle at the head of the dusty runway. Fifteen men and a girl were busy about their rickety craft, attending to last minute details, adjusting balky engines and tightening flimsy control wires. A crowd of 75,000 to 100,000 persons clustered along the wooden fences, the chill breeze failing to dampen their eager excitement. Picture above shows five of the well-known flyers who took part in the services as close friends of Roy Knabenshue. They are (left to right) EB Col. Warren Eaton, EB Charles Willard, Col. Art Goebel, Ex Sheriff of Los Angeles County Eugene Biscailuz, and Vince Barnett. From The Early Birds of Aviation CHIRP, June, 1960, Number 63. ART GOEBEL ATTENDS KNABENSHUE FUNERAL Roy Knabenshue, born July 15, 1876 at Lancaster, Ohio, passed away March 6, 1960 in the Evergreen Sanitarium, Temple City, California. Roy had been in ill health for more than ten years. Two years ago he had a stroke and suffered his second one at his trailer park home in Arcadia, California on February 21, 1960. 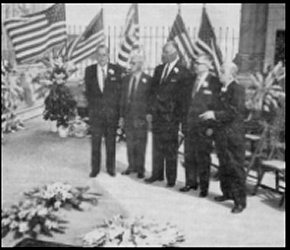 Interment and services were held March 9, 1960 at the Portal of the Folded Wings, Valhalla Memorial Park at North Hollywood, California. Twelve Early Birds and some wives attended. EB's present were Matilde Moisant, Edmond Bates, Tom Hamilton, Charles Willard, George Prudden, Warren Eaton, P. H. Spencer, Ralph Carter, Tiny Broadwick, Horace Keene, George Barnhart and Ivan P. Wheaton. Mrs. Walter Brookins, wife of deceased Early Bird Walter Brookins who is also interred here, attended. A large number of OX-5's and Quiet Birdmen attended and about twenty of their members with six Early Birds were honorary pallbearers. 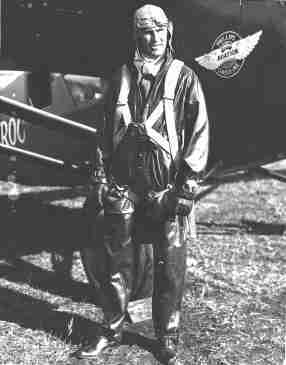 Many famous pilots and persons were on hand, to name a few: Col. Art Goebel, winner of the first race to Honolulu; Jimmy Mattern, famous for his early round-the-world attempts; Jimmy James, one of the oldest transport and mail pilots; ex-sheriff of Los Angeles County Eugene Biscailuz, who started the first sheriff's aero squadron; Vince Barnett, movie comedian and World War I pilot; and Dot Lemon, early speed pilot. 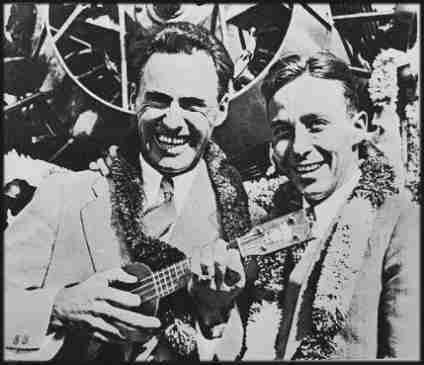 1927 DOLE AIR RACE TO HAWAII On August 16, 1927, eight of the fifteen aircraft that were competing for the $25,000 first prize and the $10,000 second prize offered by James Dole, of the Dole Pineapple Company, left Oakland, California, for Honolulu, Hawaii, about 2,400 miles away, and across the Pacific Ocean. Roy Nagl has compiled a website which contains a listing of all of the entrants, with some photos which are from the original vintage prints and may have been taken just before the start of the Dole Air Race. 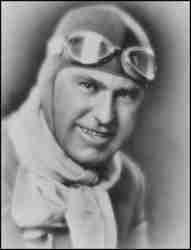 Roy has included many explanatory notes which will help you to understand the race, the planes and the aviators. In addition, the site lists a number of important links to other sites of interest. I heartily recommend that you visit this site by clicking on the title above. 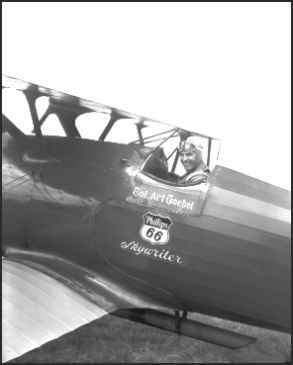 Flown by Art Goebel Roy Nagle has just posted this new website on the net. (1-20-04). 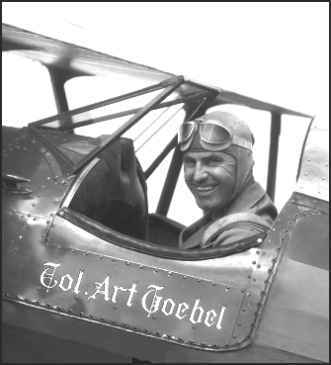 On it you will find the stories of the Transcontinental Flights of both Art Goebel and Charles Collyer. The stories are illustrated with many unique photographs. You can access the site by clicking on the title above. According to Art Goebel's Death Certificate, He died on 12/3/73 at 1:10 PM at the VA Wadsworth Hospital Center in Los Angeles, CA. He was buried on 12/8/73 at the Forest Lawn Memorial Park in Glendale, CA.